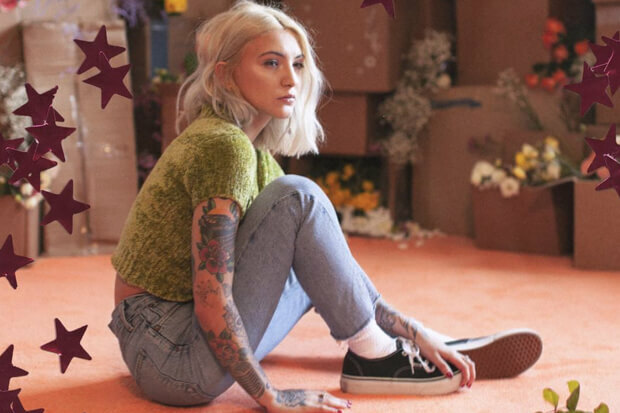 Julia Michaels has certainly mastered the formula for delivering pop perfection. That’s a fact she has proven time and again since breaking through with “Issues” in 2017. The 25-year-old moves from bop to bop with apparent ease. Last year she blessed us with the Trippie Redd-assisted “Jump,” a slew of unexpected collabs (my favorite being “There’s No Way” with Lauv) and soundtrack contributions (“Heaven,” “In This Place” and “Are You”). And now she’s gearing up to kick off 2019 with even more music. Today (January 18), the “Worst In Me” siren announced the impending release of her latest collection. Called Inner Monologue Part 1, it arrives next Friday, January 25. “Couldn’t be more nervous if I tried. But here’s a piece of my mind and my heart. it’s yours next week,” she wrote on social media. Julia also unveiled the cover, which speaks to the release’s intimate vibes. On it, the hitmaker poses in front of boxes of flowers with a notebook by her side. Clearly, we should expect more self-penned bops are on the way. Hopefully the project houses her next chart-conquering hit. It is well past time for her to return to the upper reaches of the Billboard Hot 100. Also, I’m wondering if this means an Inner Monologue Part 2 is already in the works. We’ll have to wait and see. In the meantime, check out the cover in full below! Are you ready for Inner Monologue Part 1? Let us know below, or by hitting us up on Facebook and Twitter!